Good writers are people who notice, and who write to learn more. I’ve been turning her words over for a while now, and thinking about how I learn. How I progress, how I change myself, and how I let others change me. It’s about the questions- the ones others ask of me, and of themselves (which generally beg, are you asking yourself that question?). Once upon a time I was passed over for a leadership position for a group I was in. I wasn’t bitter, I respected both of the two leaders that were selected, and we went on to work well together. I did solicit the feedback as to why I wasn’t selected– “they others, they asked the right questions when we were evaluating them.” I accepted that, and understood it in that situation. The example has always stood out to me- take the time to ask the questions, and think about whether they are the right ones. I’ve got big questions at work, at home, and outside– are they the right ones? 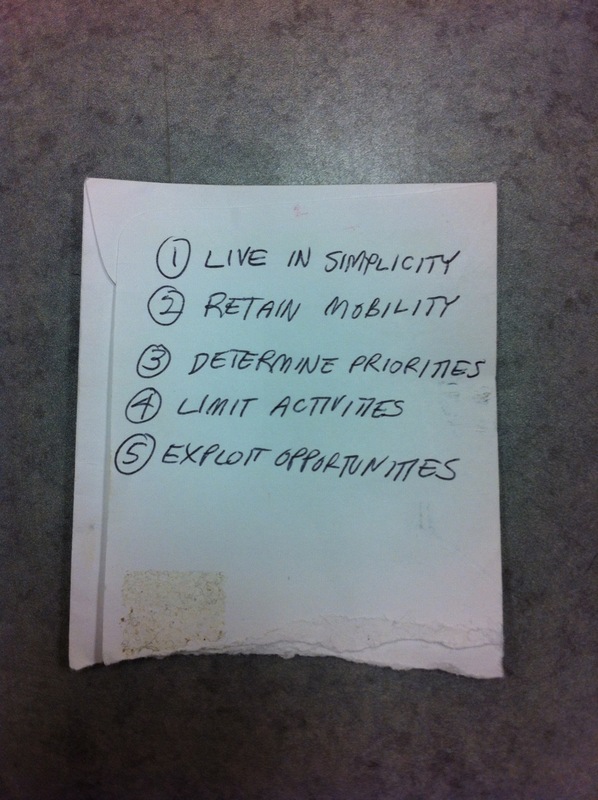 Just before I left Portland, an acquaintance offered me 5 keys for success in life. Maybe the right questions point here? This entry was posted in People, Philosophy, Portland, Work on June 13, 2012 by sticker1.